Nine reasons to book your holiday party with us now! Our event spaces are stunning as-is. Save yourself the misery of trying to make a grey-carpeted room of cubicles appear delightful in any way. With CSI’s high ceilings, majestic chandeliers, and exposed beams, you’ve already got a fantastic setting. If you act now, you will have started to plan your Holiday Party while it was still summer! This is something you can tell everyone, or mentally tuck away for a time you need to feel quietly superior and/or like someone who really has their life together. If you don’t act now, you might miss your chance! Our spaces are in pretty hot demand, and December and January tend to sell out early! Don’t be left sadly eating a candy cane at the Rainforest Cafe. We don’t want that for you. The bragging rights are pretty good. In the past year, our spaces have hosted TIFF parties, CBC events, and Michael Ondaatje’s most recent book launch. Your event will absolutely benefit from the lingering glamour. Our spaces are designed for conversation, collaboration, and connection. We know this can look like enthusiastic high-fives on the dance floor, animated chatter at the snacks table, or scribbling away on a napkin together on one of our couches. No matter how your guests like to socialize, we’ve got you covered. The buildings we own (720 Bathurst and 192 Spadina) have all-gender washrooms! This should be the standard in 2018, but frustratingly it is not. Speaking of other things that should be a standard by now: all of our spaces are wheelchair accessible! Hooray! From Spadina to Regent Park to the Annex, you can get to all of our locations by TTC! No one will have to drive around your party in circles for 45 minutes, trying to find parking and cursing your existence. There is no outside food fee. I had to google what that even was, which should tell you how much you don’t need to worry about us having it. Take the chance to be a part of something bigger. 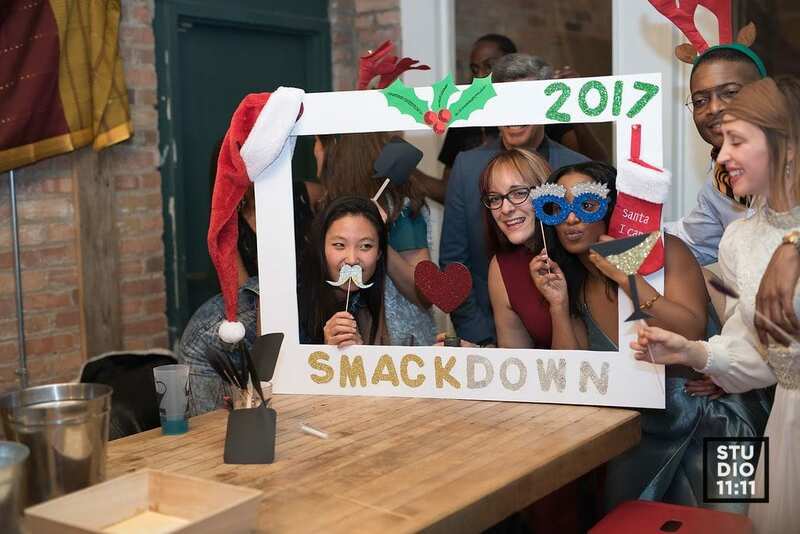 Unlike booking at a bar or restaurant, having your Holiday Party at CSI helps us put people and planet first. Your costs go to support our programs, events, and community. So take a few minutes now and check out our various rooms and locations. We bet your party would look great in any of them. If you have any questions at all, please get in touch via events@socialinnovation.ca. We can’t wait to hear from you! 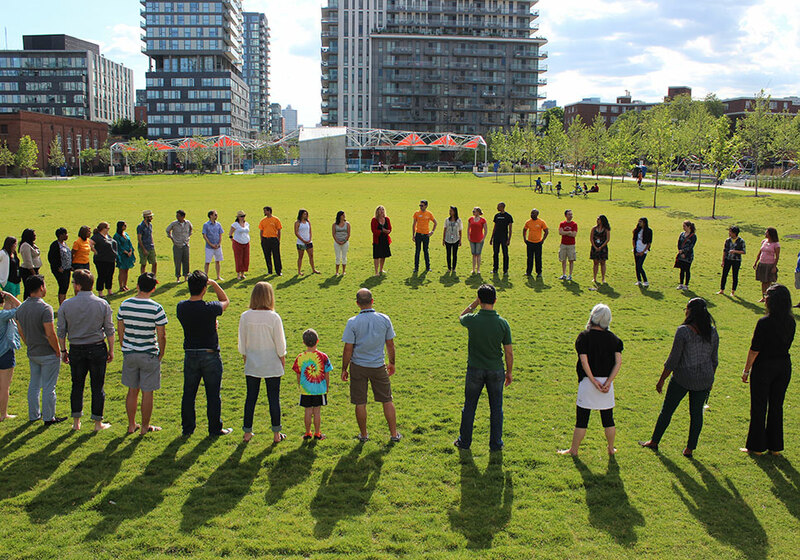 Nine years ago, our company was selected as Toronto Community Housing’s (TCH) development partner on the revitalization of the 69-acre Regent Park community in Toronto’s Downtown East. In October, the Centre for Social Innovation launched its $4.3M Community Bonds campaign to help us transform our new 64,000 sq. 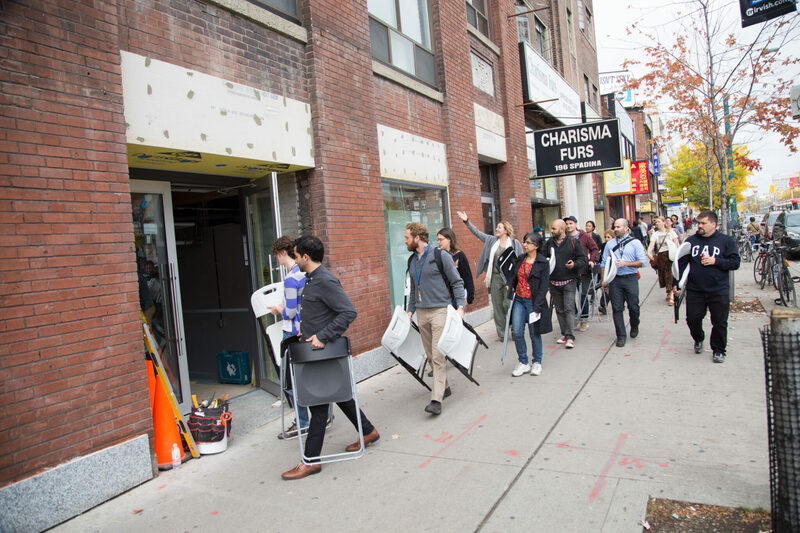 ft location at 192 Spadina Ave. into a home for social innovation.